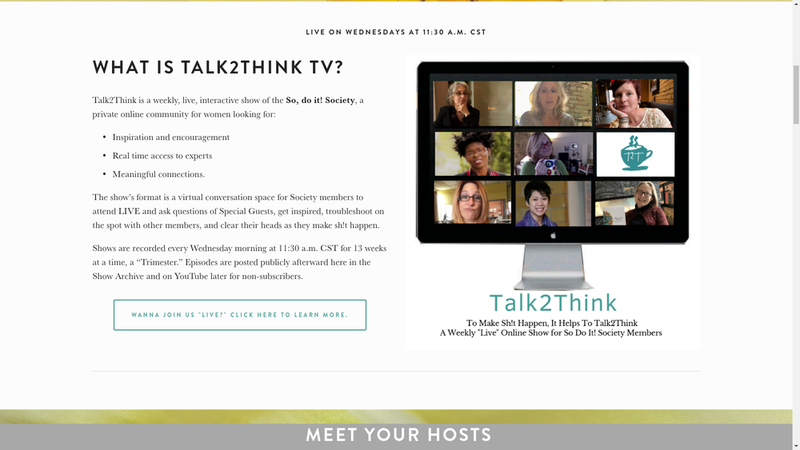 Talk2Think.com - I built a Squarespace website for the Talk2Think Show, a weekly, online live video-conference feature of the So, Do It! 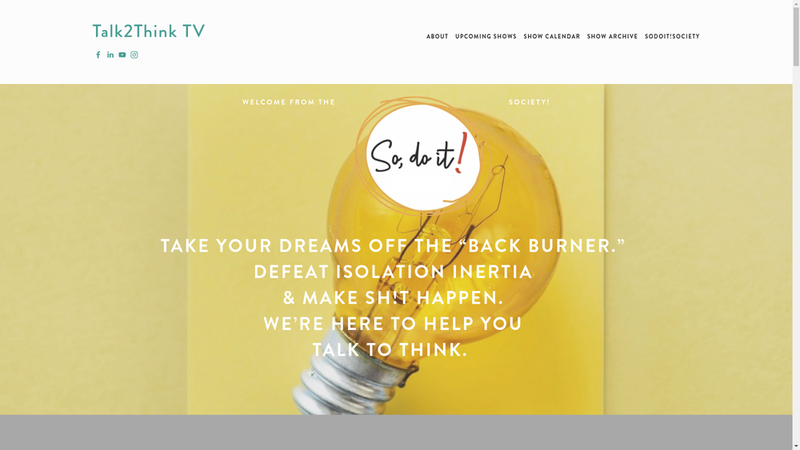 Society, a private subscription network for women founded by Kelly Pratt. 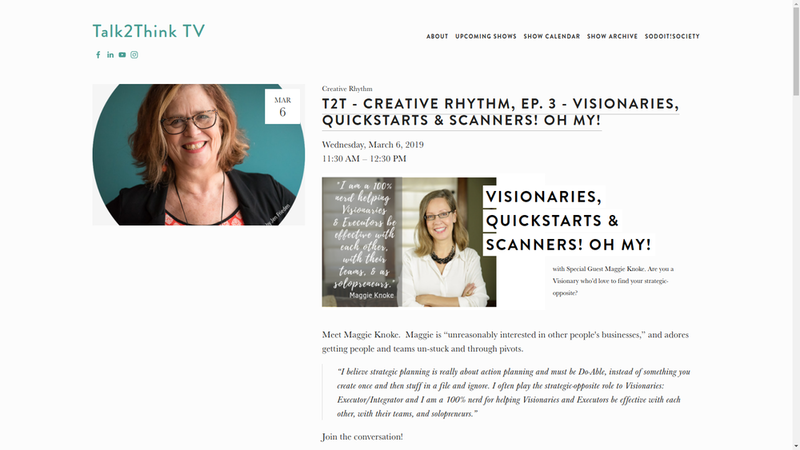 The show’s format is a virtual conversation space for Society members to attend LIVE and ask questions of Special Guests, get inspired, troubleshoot on the spot with other members, and clear their heads as they make sh!t happen. 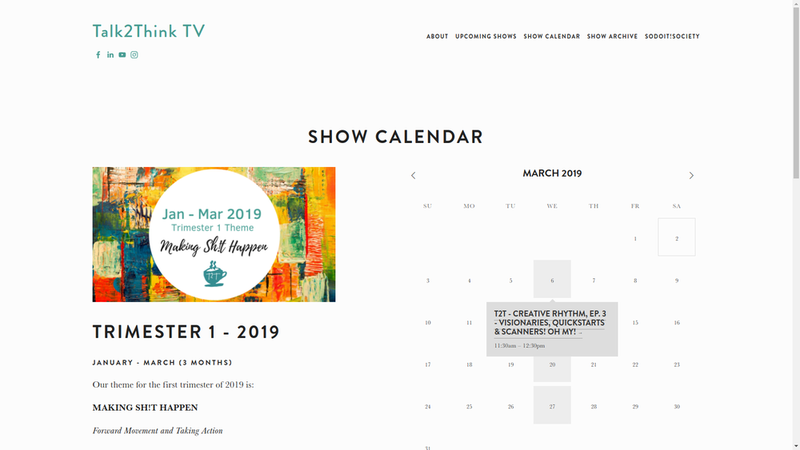 Shows are recorded every Wednesday morning at 11:30 a.m. CST for 13 weeks at a time, a “Trimester.” Episodes are posted publicly afterward in the Show Archive. I curated a portfolio of my photography using the indie store platform BigCartel.com. Prepping the store involved curating images from 3 years of photos, editing them using Polarr photo editing software for Linux, sizing them for optimal print quality, also sizing them for web display, mocking up display images, and creating sets of 5X7 note cards. I also wrote copy for each product to optimize SEO. You’re the Hero, What Do You Want? 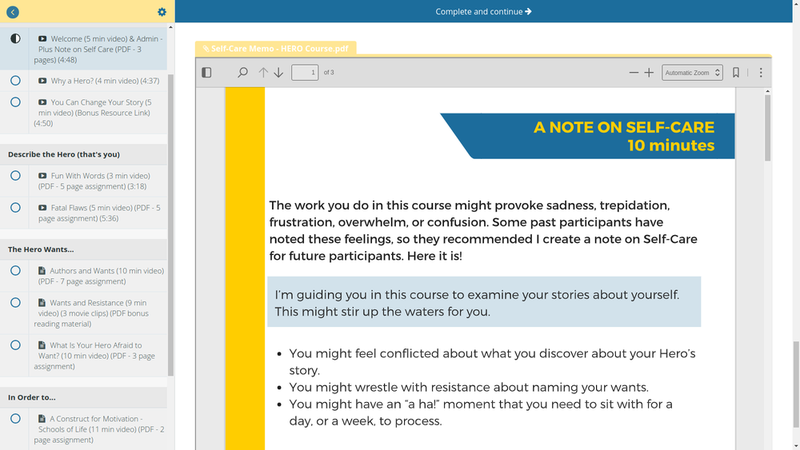 is an online course for the Change Your Story School built on the Teachable.com platform. 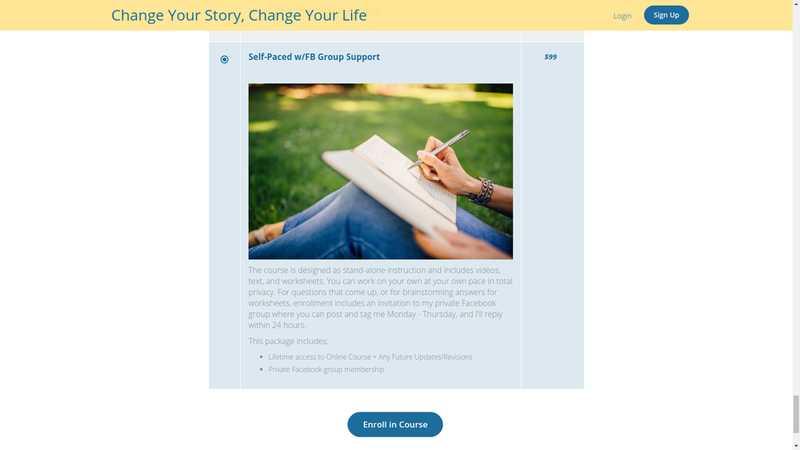 The course includes text, videos, downloadable PDF worksheets, and access to group support in a private Facebook group or individual support over 5-6 weeks with me as Guide. 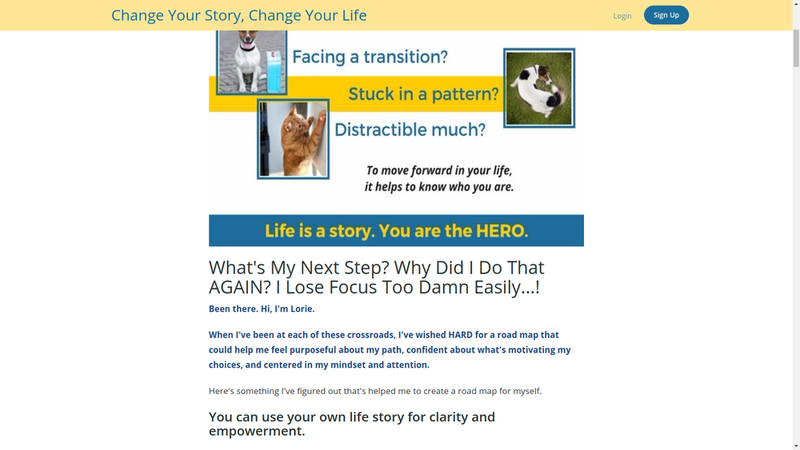 In this course, I guide you to use basic story structure to look at yourself as the Hero of your story, like an Author would, to evaluate the who, what, and why of your life. When you have that gold down on paper in concise words, voila! You have an About Sentence, your own pocket-edition map to consult whenever you feel the need to be reminded of your inner wisdom and guidance. Complete your own About Sentence and clarify Who You Are, What You Want, and Why You Want It.